John Maringouin's brilliant, darkly comedic morality tale examines a wildly ambitious Westerner who tries to get in on China's tech boom and finds that he may not be up to the task. 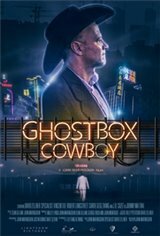 Texan Jimmy Van Horn is a cowboy huckster who arrives in the booming city of Shenzhen with a couple of bitcoins and huge ambitions of parlaying them into economic success. Lucky for Jimmy, he's got a friend holding open the back door to this "accidental Shangri-La" - Bob Grainger - who's gotten new teeth, a blonde wig and looks twenty years younger. He promises to do the same for Jimmy in 6 weeks. Maringouin develops a startling visual language in this excitingly fresh, complex perspective on China's economic growth - and the gold rush mentality it inspires.